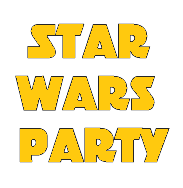 Like many other youth librarians, I'm currently planning a Star Wars party for the kids in my town on May 4th. I thought I'd share what we have planned so far, in the hopes that you will all make suggestions for how to achieve maximum awesomeness. We are planning a station-based program, in the hopes of creating some sort of order, as we have had a lot of kids register already and are still 2 months away from this program! I have submitted requests from the 501st Legion and the Rebel Alliance (thanks for the tip on this, Julie!) and am hoping that we will have some live "characters" (read: fans in homemade costumes) from the Star Wars series at our event. I am not promoting that they will be here, in case it doesn't work out. I did print out these masks and we'll let the kids try them on and take pictures either way. Station 1: Dress a teddy bear like an Ewok (idea also from Julie). If I have time, I hope to get enough props that they can do Princess Leia and some of the other characters as well, even though they don't look as much like teddy bears as Ewoks. 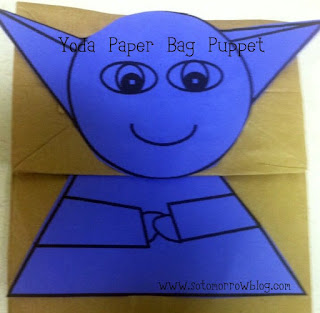 Station 2: Make a Yoda paper bag puppets. 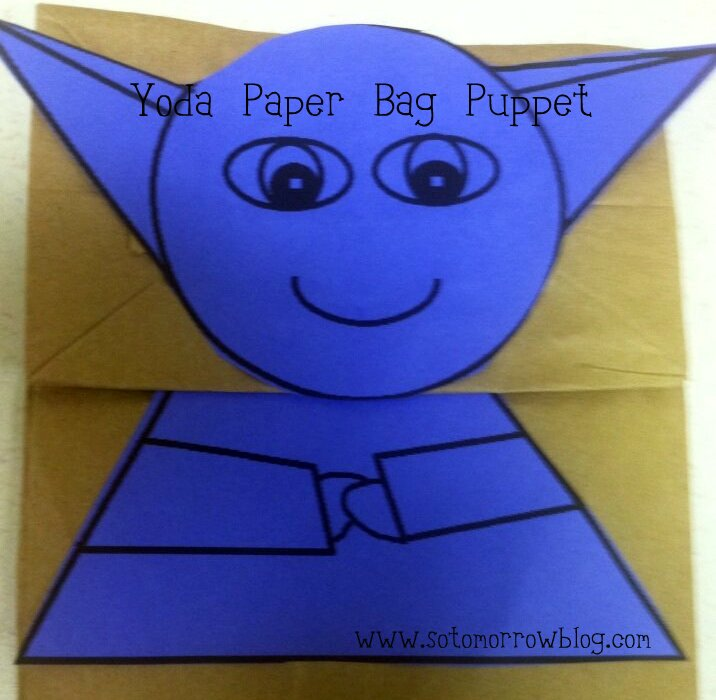 I drew my own patterns for paper bag puppets inspired by some illustrations of the Star Wars characters I saw when I was Googling around for ideas. My husband was very unhappy that I printed Yoda off on purple paper, even when I explained that we had just gotten that new paper color in and I wanted to see if black ink was visible enough on it. I did promise to color poor Yoda green, and I did. Station 3: Make your own light sabers. We are using instructions from Disney Family that have a printable hilt and then use a sheet of poster board and a paper towel roll. Station 4: STEM Star Wars experiment with characters and friction! I saw this fun friction experiment on a Teachers Pay Teachers Store. I'm going to adapt it for a library setting (we can't have kids running out to the parking lot to attempt it on the blacktop, but I will use different textures we have in the building like the carpet, books, laminated posterboard, etc.) This is a free download, but you do have to have a Teachers Pay Teachers account (also free). If I wind up having to cut something for time and/or space reasons, this will be what gets axed. Station 5: Character photoshoot with masks, and hopefully with costumed characters. We'll see what happens. Snacks: Yoda Soda (green sherbet and Sprite) and "lightsabers" (pretzel rods). Also planning on "encasing" a Han Solo figurine in "carbonite" AKA Jello. I'm collecting ideas in the comments here and I also have a bunch on my Star Wars Pinterest board that I've been planning from. some in color just for displays and some in b&w for copying/coloring.